Achievements: Nikki is owned and loved by Janis in Milwaukee. Purchased as a performance puppy, Janis learned that Nikki’s conformation was not to be denied. 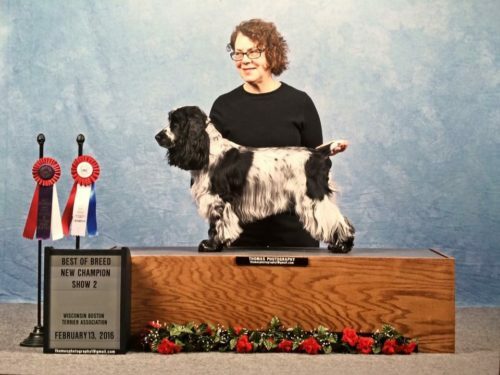 She showed in conformation for the first time and put a UKC Championship on Nikki. 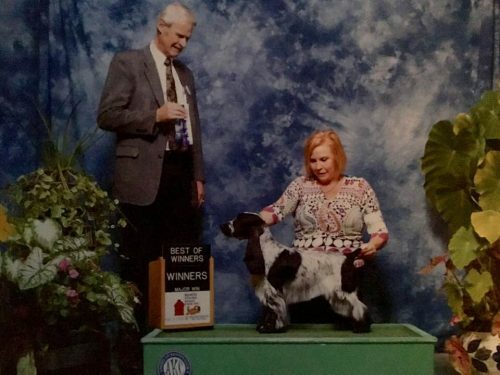 She earned her AKC Ch on 9/15/18 with points put on by Lori King and Robin Novack. 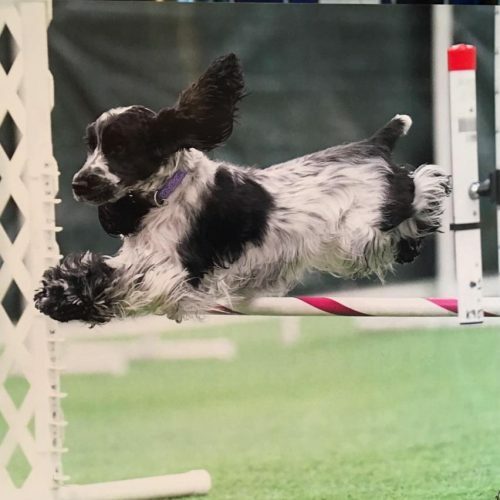 Nikki is also training in Agility and keeping Janis busy. We are very proud of this team!